After opening with a promising surf-rock riff, this tune is mostly just a mix of guitars, horns, and the title sung ad nauseum over a dumb dance beat. Though the Tacoma legends are big in Japan (pandering much? ), for this stinker they oughta be kicked outta the Rock ‘n’ Roll Hall of Fame. 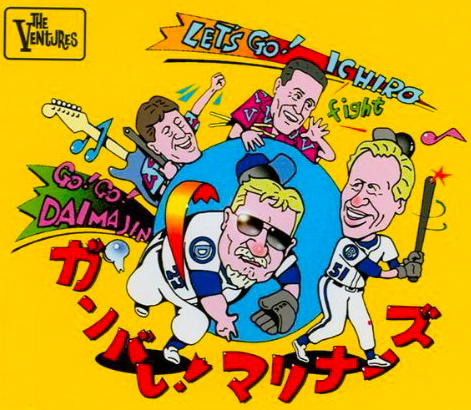 From the EP Songs for Baseball Players (2001). 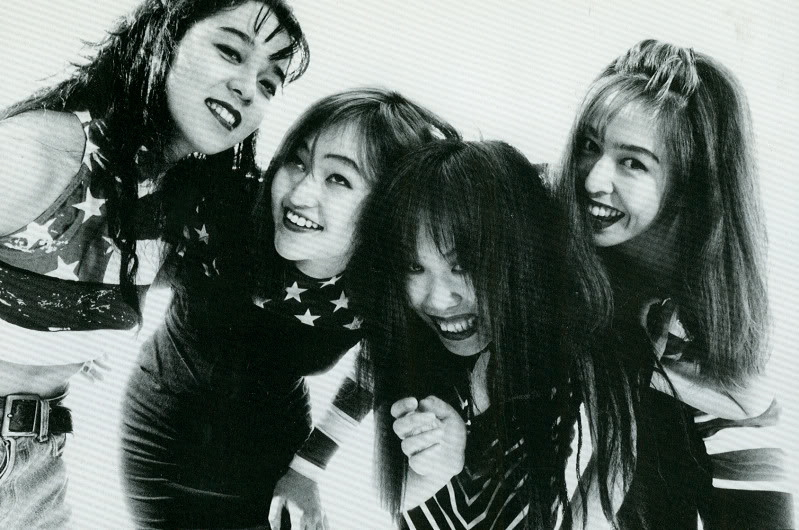 A two-minute garage-rock blast by the all-girl Japanese band, shouting the title over and over like crazed fans who are genuinely stoked about their subject. 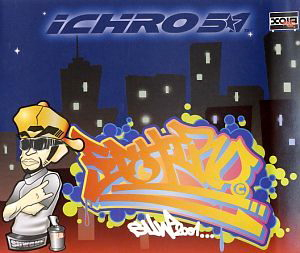 From the compilation CD Seattle ..A Baseball Town (2004), in which Ichiro gets additional shout-outs in “Baseball Hero” (also by Supersnazz) and “2001” by Presidents of the United States of America frontguy Chris Ballew. You’ll hear the rest, now hear the best. He’ll have a seven course meal that Yumiko his wife prepares, and for his second stomach, two ice cream bars and six chocolate eclairs. By day he builds a spaceship, it’s got a periscope and hatch. At night he might go five-for-five with a patented sliding catch, a patented sliding catch. For those who haven’t worshipped yet, you must succumb to bowing soon. There’ll be nothing left to prove when Ichiro goes, Ichiro goes to the moon. When Ichiro goes, Ichiro goes to the moon. At age 40 he’ll turn to pitching with a fastball that hits 95, a knuckler that defies gravity, a curve with a twelve-to-six dive. Don’t put him on a pedestal, just treat him with respect. He seeks but his own approval, and earns all that he gets, he earns all that he gets. There’ll be another curtain call, a spacesuit in the trophy room. And I won’t be surprised at all, when Ichiro goes, Ichiro goes to the moon. When Ichiro goes, Ichiro goes to the moon. When Ichiro goes, Ichiro goes to the moon. When Ichiro broke the “Japanese Position Player Line” and started his major league career with both Rookie of the Year and MVP honors, it looked to start a huge influx of Japanese players to the U.S. Many have come, and some have made a mark, but there simply is no other Ichiro, from Japan or elsewhere. With his style, discipline and respect for the game, he’s a beacon of light for Seattle and baseball in general. I believe he can do anything he sets his mind to. My tribute to both the self-assurance and the humor that makes Ichiro so damn cool. The guy can pretty much do whatever he wants. I feel like if he wanted to build a rocket ship in his basement, he could do it. I wouldn’t bet against him. The song is also a tribute to his prowess at eating. Despite his slim build, the guy can really put it away. I respect that. I super-respect that! During the season I’ll examine a handful of other Ichiro tunes out there, but don’t get too excited — none are as good as this.